A new Star Wars 9 leak claims to know who the Millennium Falcon will end up with at the end of the movie. We've seen many characters pilot the iconic ship over the past 40 years, but it looks like it may end up in some familiar hands at the end of the final movie of the latest trilogy. Obviously, there's not a whole lot of concrete information about Star Wars 9 available, so this is a rumor until proven otherwise. With that being said, there could be potential SPOILERS for Star Wars 9 below. In last year's Solo: A Star Wars Story, we saw Han Solo win the Millennium Falcon from original owner Lando Calrissian. Now, a new Star Wars 9 report states that the ship will end up back with its rightful owner. The report also states that Rey and Rose will go on a mission in a new ship while Finn, Poe, and Chewbacca will take the Falcon on another mission that will see them come in to contact with Lando. Billy Dee Williams is back as Lando Calrissian in Star Wars 9, and the Resistance needs all the help that they can get. We could see Poe, Finn, and Chewie getting Lando to help the Resistance yet again in exchange for his beloved ship. It's believed that Lando will need some convincing, which is where the Millennium Falcon comes in to play. 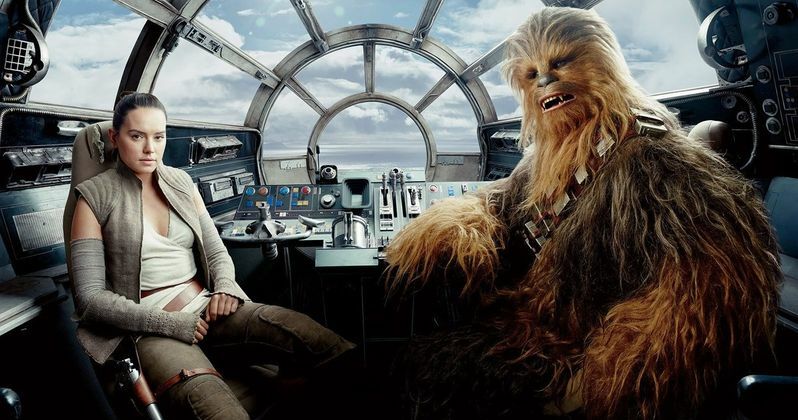 When it comes down to it, Chewie is the one who will reportedly make the offer, which is sure to be emotional, if this ends up being true. If this leak ends up being true, why would Lando Calrissian be hesitant about joining up with the Resistance again? There could have been a pretty big falling out after the events of Return of the Jedi, which my make sense as to why Lando wasn't in The Force Awakens or The Last Jedi. Regardless of why, J.J. Abrams will have some explaining to do when bringing Billy Dee Williams back for the final movie in the latest trilogy. Star Wars fans were very excited to learn that Williams will be back and many are hoping that Abrams doesn't continue the trend of killing off the original characters. As for now, Rey is the current owner of the Millennium Falcon after liberating it from Jakku in The Force Awakens. Well, maybe it's hers and Chewbacca's at this point. It would be pretty great to see Lando Calrissian regain his beloved ship in Star Wars 9, although there will more than likely be more than a few Star Wars fans who complain about it. While this leak has not been officially confirmed by Disney or Lucasfilm, it would be pretty awesome to see and a cool way to bid farewell to the ship and the Skywalker saga. This leak was first reported by Reddit.